Dentist in Mulund We Dentcure Detal Clinic are Dentist in Mulund. Dentcure Dental Clinic has been at the forefront of Dental Healthcare, committed to providing world-class dental treatment and education at affordable rates. The clinic aims at offering different specialities of dentistry like Cosmetic Dentistry and Restorative Dentistry, Orthodontics, Endodontics, Periodontics, Prosthodontics and dental implants all under one roof.At our Clinic we utilize the latest in dental techniques and technology to make your dental visit as painless and comfortable as possible. Our state of the art dental practice is also staffed by a dedicated team of specialised dental surgeons and highly trained dental professionals committed to the highest standards of excellence. The combination of competent and experienced staff and advanced technologies assure you the best oral hygiene and good care. Fixed teeth in a day We Dentcure Dental Clinic provide Fixed Teeth in a Day Service in Mulund. "Since Dentcure Dental Clinic are dedicated to dental implant treatments, all of our experienced implant dentists do the ‘Teeth in a day’ or ‘All on 4’ dental implant treatment. A dentist needs specialised training to carry out the all on four dental implant treatment. Success rates are very high if carried out by a trained and experienced implant dentist and if strict aftercare protocols are followed. Dentcure Dental Clinic implant dentists are highly experienced in all full jaw dental implant-based restorative treatment – including ‘All on 4’ and ‘Teeth in a day’ – and we partner with highly experienced dental lab technicians to fabricate our implant supported bridges as an essential part of this procedure." We Dentcure Dental Clinic are Dental Clinic in Mulund. "Dentcure Dental clinic is located in the cosmopolitan suburb of Mulund in Mumbai. Our primary goal is to help our patients achieve and maintain optimal oral health through preventative dental care and patient education. We are committed to be the best in our profession as dental care professionals through the pursuit of continuing education, training and experience. We Dentcure Dental Clinic provide services of Cosmetic Dentistry in Mulund. "Cosmetic Dentistry aims at improving the appearance of an individual’s teeth, gums and / or bite. Cosmetic Dentists are additionally trained to focus on dental aesthetics along with general dentistry. Cosmetic Dental procedures include teeth whitening or bleaching, fillings, dentures, tooth bonding to repair chipped/broken/stained/cracked teeth, closing gaps between teeth, covering broken teeth with porcelain crowns, bridges or veneers, using braces to improve appearance of teeth, dental implants etc. They are also specialized in performing periodontal plastic procedures to correct gum irregularities. Smile designing in Mulund We Dentcure Dental Clinic Provide Smile Designing in Mulund for our esteemed Clients. "We provide smile design and smile makeovers solutions. In this process, our dentists take the necessary measurements of all your facial features so that they can measure the proportion of your smile and give your teeth a thorough makeover. Our dentists have the ability to offer the smile you want and need irrespective of your current dental state, fear or anxiety, and budget. Our smile designing Mulund solutions ensure you get the best-in-the-world cosmetic dentistry solutions. We also offer cosmetic veneers that help people undergo smile correction in Bangalore. We use ceramic veneers that help disguise any cracks or stains and improve the overall shape of your teeth and consequently your smile." We Dentcure Dental Clinic provide services of Teeth Whitening in Mulund. Teeth Whitening is getting cheaper and more accessible, but the more popular it gets, the more money there is to be made—resulting in lots of harmful whitening methods, products and scams that fool or hurt consumers. Remember, this is a $15B industry and the marketing often doesn’t emphasize the safety information as well. If you’re considering whitening your teeth, this guide is for you. Make sure you know what you’re doing before jumping in—you get one set of teeth in life and it’s all too easy to damage them permanently. 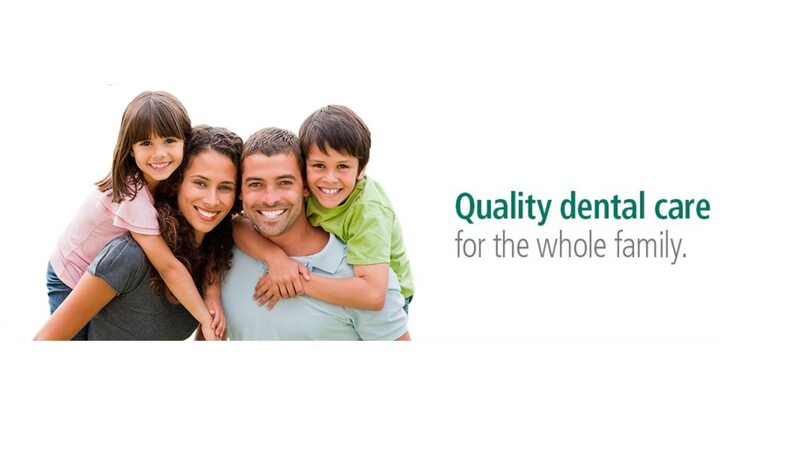 We Dentcure Dental Clinic are Pediatric Dentist in Mulund. Pedodontia is the branch of dentistry dealing with children from birth through adolescence including those with special health care needs. Growth and development, disease and prevention as well as child psychology management are covered under pedodontia. Also included are the highly specialized pediatric, preventive and restorative techniques. We also have a dedicated play area that keeps your child engaged, excited, making them feel like they've not come to a clinic. We Dentcure Dental Clinic are Root Canal Specialist in Mulund. "A tooth has three layers enamel, dentin and pulp. When the cavity is so deep that it has reached the pulp, Root Canal Treatment has to be done. In this all the infection from within the tooth is removed, all the canals in the root are cleaned and medicament is placed. The tooth is sealed so that no infection seeps in after Root Canal Treatment. After performing Root Canal Treatment, the tooth becomes weak and brittle. That’s why post Root Canal Treatment crown is very important to protect the tooth.